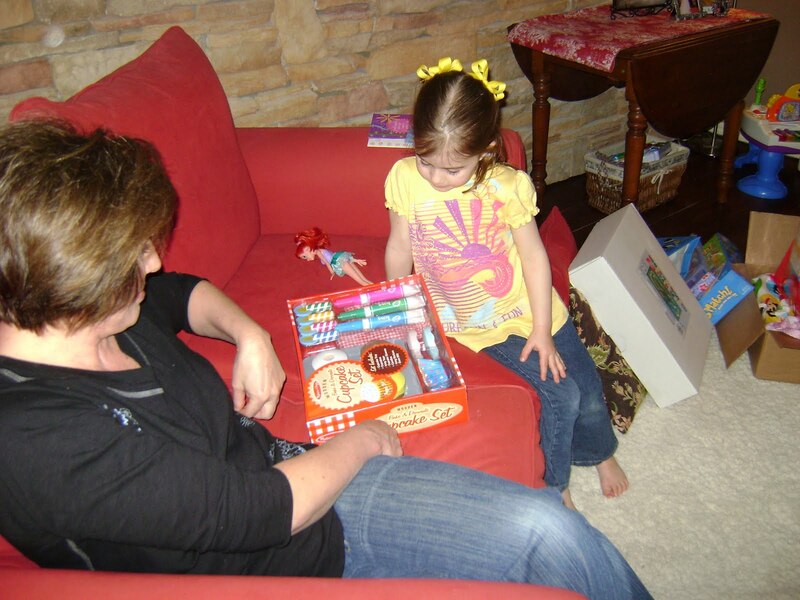 Avery got so many nice things from her family. Lots of clothes and a train set (which she loves!) 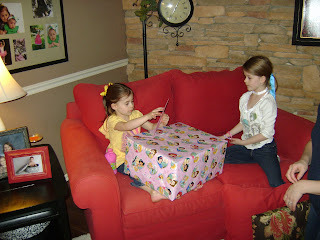 from Grandma and Grandpa, a swimming box (swimsuit, towel, coverup, goggles, and money for swimming lessons!) from Nona and Pop, a couple of DVDs, a wooden decorate a cupcake set (so awesome! 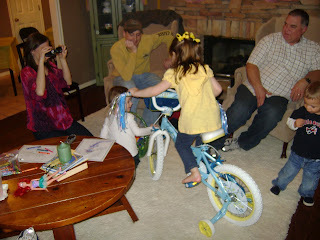 ), and a new bike from Mommy and Daddy. She is too grown up for her tricycle now and really has needed a bike for a while. 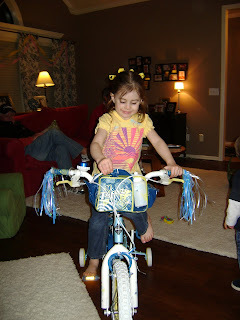 We found her a blue and yellow bike since those are her two favorite colors and she is so great on it! Of course it still has the training wheels on, but I don't doubt she will be a quick learner and will have that thing figured out early on. Happy Birthday big girl! We love you Avery! 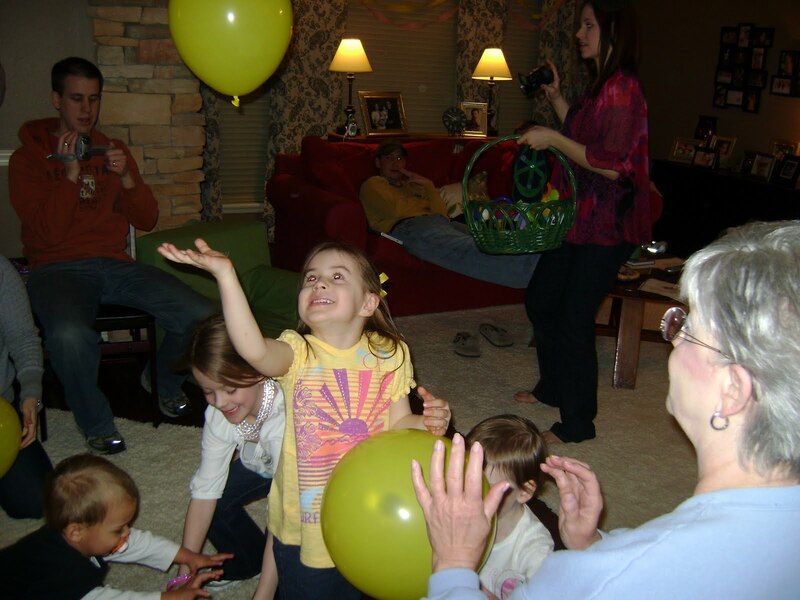 Fancy Avery's 4th Birthday Party!